The first Oshman's Sporting Goods store in Houston, circa 1933. Courtesy of the Matagorda County Museum. Image available on the Internet and included in accordance with Title 17 U.S.C. Section 107. 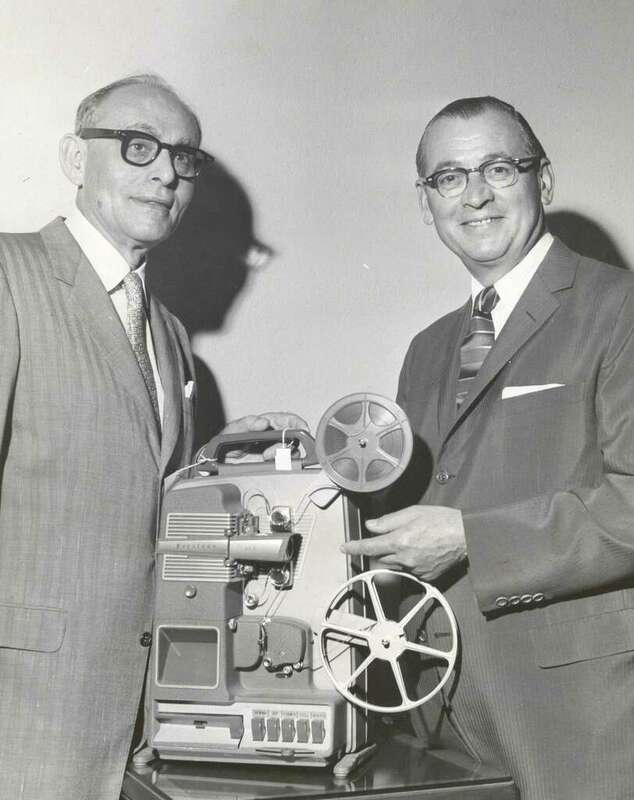 Jacob S. Oshman, left, is shown how to use a Keystone projector by its president, Ed M. Swartz, 1959. Courtesy of the Houston Chronicle. Image available on the Internet and included in accordance with Title 17 U.S.C. Section 107. 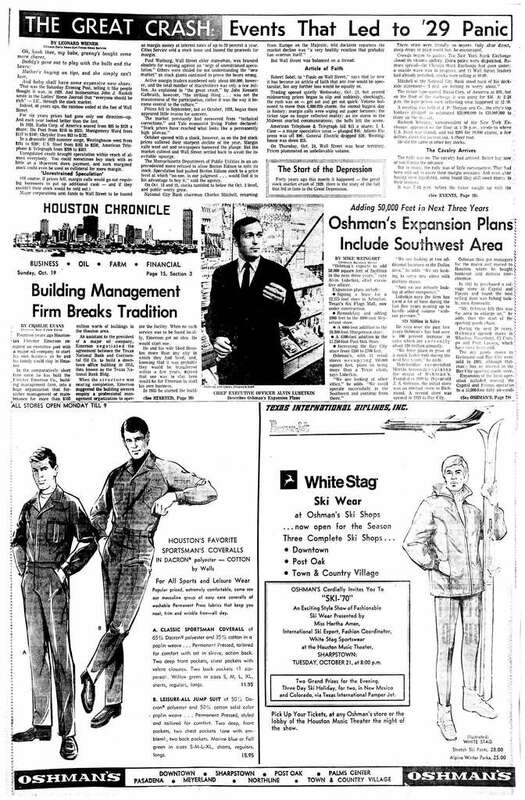 A 1969 Houston Chronicle article about Oshman's plans for expansion, with a picture of its new CEO, Alvin Lubetkin. Courtesy of the Houston Chronicle. Image available on the Internet and included in accordance with Title 17 U.S.C. Section 107. OSHMAN'S SPORTING GOODS. Oshman's Sporting Goods, a retail sporting-equipment and apparel chain headquartered in Houston, operates stores in the Southwest, West, and South, with limited export sales. It offers a full line of sporting goods, including nationally advertised brand-name products and the company's own labels, and was among the first United States firms to combine quality sporting goods and sportswear for men and women in a single retail store. The company was founded in 1919 by Jacob S. Oshman, an orphan Russian immigrant who arrived in Richmond, Texas, in 1914 to live with an aunt. He was only nineteen years old when he opened a small department store with a relative at Richmond in 1919. This store, which sold quality apparel, was followed by others at Bay City, Wharton, El Campo, and Pasadena. In 1932 Oshman moved to Houston, where he acquired the stock of a bankrupt army-surplus store known as Crawford-Austin and liquidated its inventory. He discovered in the process that sporting goods, particularly fishing and hunting supplies, sold well. Successful in spite of the Great Depression, Oshman opened his first sporting-goods store at Houston in 1933 and in 1938 offered a full line of sporting goods and western wear at a new store in the Shell Building, with thirty to forty workers. He opened a store at Corpus Christi in 1939, and the company incorporated in 1946 in Delaware. Stores opened at Beaumont in 1948, at Palm Center in Houston in 1955, and at Austin in 1961. After Oshman's death on April 30, 1965, the company began a major expansion led by Oshman's son-in-law Alvin N. Lubetkin. The store was well positioned for the increased spending on recreation-related products and services that came in the 1970s. Oshman's had sales of over $135 million by 1979. The company acquired Abercrombie and Fitch and opened its first store in Beverly Hills in 1978. Oshman's Sporting Goods Advertisement, 1953. Image available on the Internet and included in accordance with Title 17 U.S.C. Section 107. Oshman's Logo and Slogan. Image available on the Internet and included in accordance with Title 17 U.S.C. Section 107. Oshman's Sporting Goods became Oshman's Supersports USA. Image available on the Internet and included in accordance with Title 17 U.S.C. Section 107. 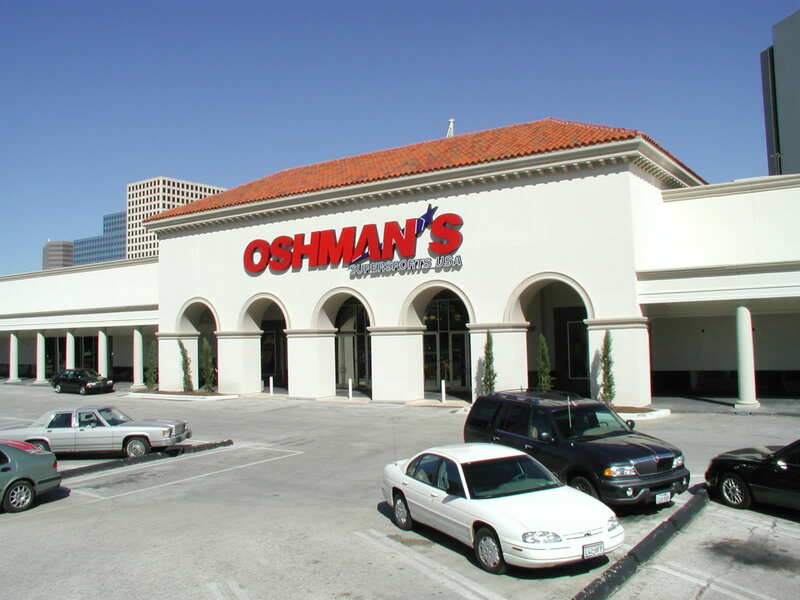 In 1988 Oshman's divested itself of its small stores and began to develop large ones. In that year Oshman's owned 225 stores in Texas and across the nation. In the 1990s the firm operated 170 stores, including 157 Oshman's stores, eight SuperSports USA stores, and five Honsport stores. It owned eighteen subsidiaries and sold to institutional customers, including scholastic, industrial, amateur, and professional teams. An affiliate, American Pneumatics, made prototypes of new athletic protective equipment in association with the National Football League. The company owned approximately thirty-four trademarks and service marks employed in its advertising and operations and licensed its Oshman's name for use in Japan and Mexico. Among slogans associated with the firm have been "One store has all the fun," "Play before you pay," and "We make sure you're the winner." Oshman's Central Texas office purchases most of its merchandise directly from manufacturers in the United States and overseas. Its warehouse distribution centers are located in Houston, Texas, Honolulu, Hawaii, and California; regional distribution centers are in Dallas and Atlanta, Georgia. In 1993 Oshman's employed 3,700 people. 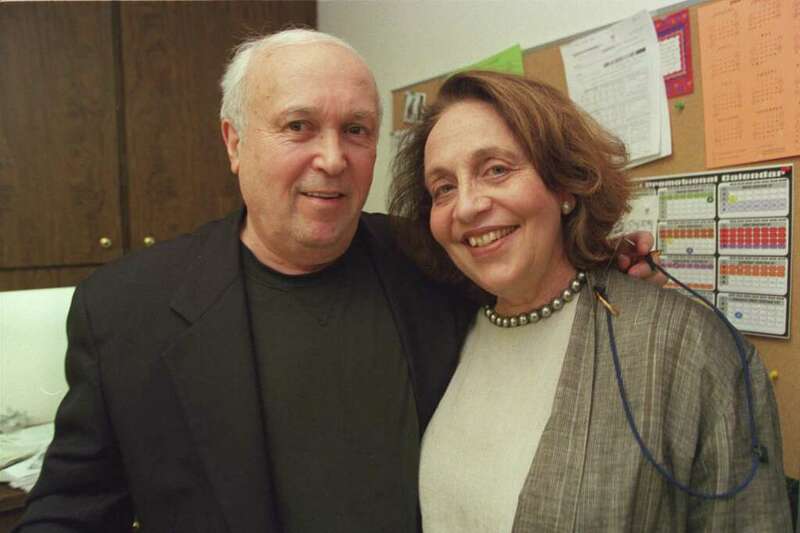 Marilyn Oshman and her husband, Alvin Lubetkin, pictured 2001. Courtesy of John Everett and the Houston Chronicle. Image available on the Internet and included in accordance with Title 17 U.S.C. Section 107. Despite a reorganization in 1990, the founding family remained active in the company's management, with Alvin N. Lubetkin as president, chief executive officer, and vice chairman of the board, and Marilyn Oshman, the founder's daughter, as chairman of the board. From 1965 until 1993 Mrs. Jeanette Oshman Efron, Oshman's widow, served as chairman of the board. Oshman was instrumental in helping others to emigrate from Europe and was an active member of Congregation Emanu El, Houston. A wing of the Seven Acres geriatric facility in Houston was donated in Oshman's honor by his wife, who also made significant donations to Baylor College of Medicine and Methodist Hospital of Houston. Houston Post, May 1, 1965. Handbook of Texas Online, Diana J. Kleiner, "OSHMAN'S SPORTING GOODS," accessed April 19, 2019, http://www.tshaonline.org/handbook/online/articles/dho01.